A visitor seeks the soundtrack of her college life — Nirvana, Pearl Jam, Soundgarden and more — with eat-and-drink detours into today’s trendy Emerald City. Grunge was the soundtrack of my Gen X college life. We knew every word to Nirvana’s 1991 album, “Nevermind.” “I’m so happy ‘cause today I found my friends.” And the day we found out that Kurt Cobain had died, April 8, 1994, there was a candlelight vigil in the quad. Twenty years later, I’m feeling nostalgic for the raw alt-rock style that got its start in Seattle with bands such as Mudhoney, Alice in Chains, Nirvana, Pearl Jam and Soundgarden, many of which were first signed by local record label Sub Pop. Indeed, grunge seems to be making a comeback, and not just because everyone is wearing flannel shirts and combat boots. Brett Morgen’s documentary “Kurt Cobain: Montage of Heck” premiered at the Sundance Film Festival in January and will be shown May 4 on HBO. Seminal L.A. girl grunge band L7 is planning a reunion this spring. And the Montclair Art Museum, in New Jersey of all places, has mounted a survey of art from the 1990s titled “Come As You Are,” after the Nirvana song. It seemed like an interesting time to revisit Seattle, ground zero of grunge, so I booked a weekend trip with my husband. What I discovered is that the end-of-the-continent isolation and blue-collar attitude that laid the groundwork for grunge in the 1980s, according to Justin Henderson’s 2010 book, “Grunge Seattle,” are now distant memories. For the last 20 years, Seattle has been booming. 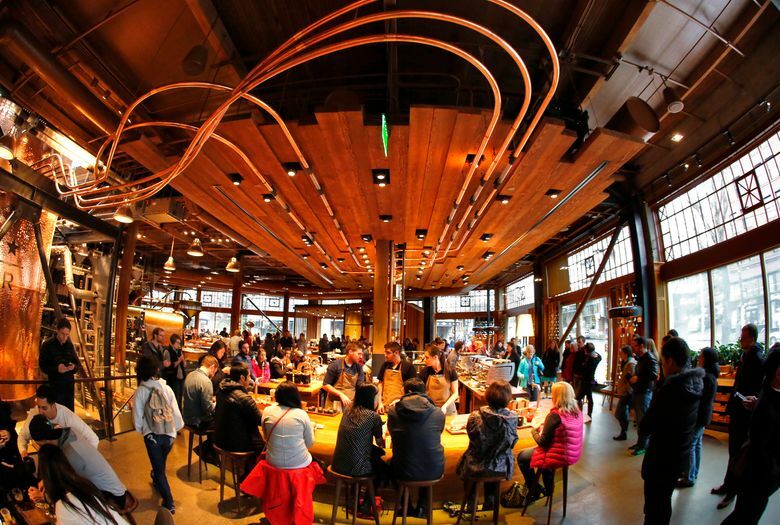 The influx of money from Amazon, Microsoft, Starbucks, Costco and other Seattle-area corporations has led to a proliferation of luxury condos, high-rise office buildings, farm-to-table restaurants and craft cocktail bars. 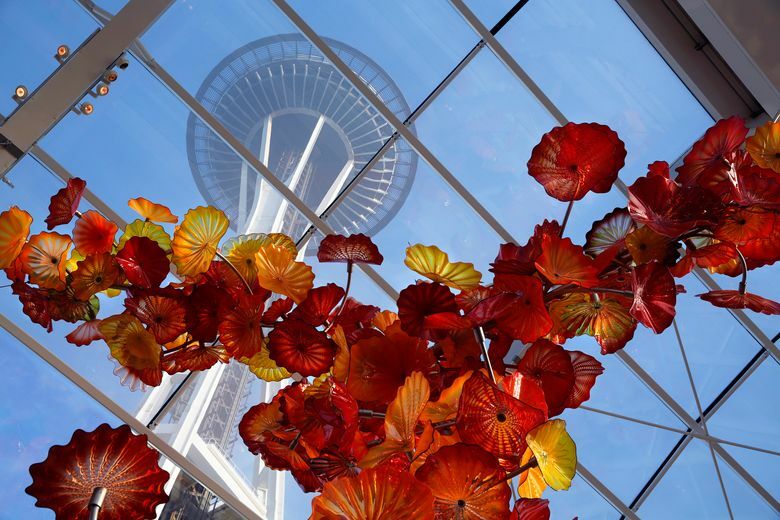 The Bill & Melinda Gates Foundation, which has a new visitor center, and the sparkling Chihuly Garden and Glass museum, which opened in 2012 at the foot of the Space Needle, have enhanced the city’s sheen. One of Bon Appétit’s best new restaurants of 2014, Westward, is here, as is Canon, the sixth best bar in the world, according to Drinks International magazine’s ranking of the top 50. And the Ballard and Fremont neighborhoods rival Brooklyn, N.Y., and Los Angeles’ Silver Lake for cool shops and eats. Even Starbucks has upped its game with a new high-end Roastery & Tasting Room, which sells artisanal mugs, brews exclusive beans and has a line out the door. 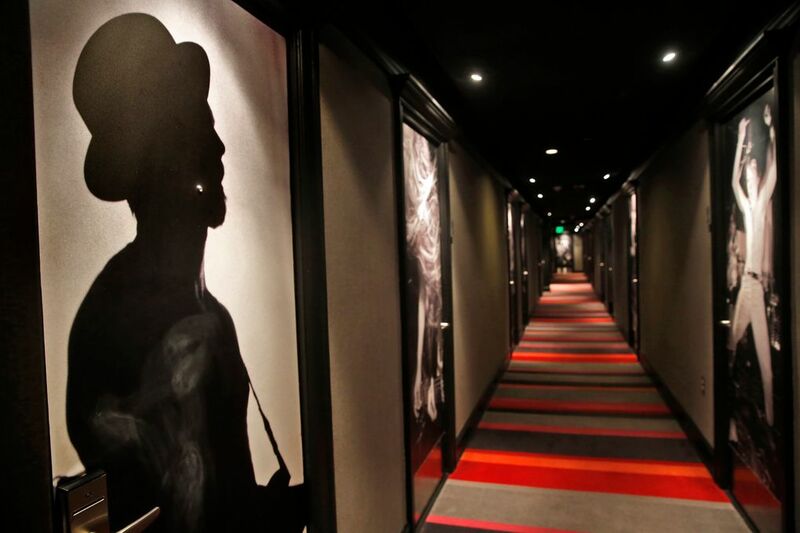 In search of what’s left of the grunge experience, we checked into the boutique Hotel Max, which is in the thick of downtown, and in 2013 opened a floor of rooms dedicated to Sub Pop Records. The lobby décor is industrial chic with Pop Art prints by Andy Warhol, John Baldessari and others adding color. There is also free local beer for guests during happy hour (Seattle’s Stoup Brewing was featured). Upstairs, the Sub Pop floor has cheery, striped carpeting and large-scale black-and-white images on the guest room doors, the work of photographer Charles Peterson, who helped define the Sub Pop aesthetic on the label’s record covers. The images are action-packed shots of Nirvana, Hole and other grunge bands — dirty Converse high-tops, crushed Budweiser cans, swinging hair and all — in the years before they hit it big and were signed by L.A.-based record labels to multimillion-dollar contracts. We stayed in a Max King room, which was about 250 square feet. The furnishings were modern and spare, but with fun touches, including a Crosley record player, a collection of vinyl Sub Pop records for listening and a special TV channel that plays current and classic Sub Pop videos. The hotel is a short walk from the famous Pike Place Market. It was a nice afternoon when we arrived, so we headed there. Before hitting the food stands, we stopped in Post Alley to take selfies in front of the drips and dots on Gum Wall. (We didn’t contribute to the collective artwork, though there is a gum-ball machine in the lobby at Hotel Max with a sign that suggests that visitors do just that.) We snacked on macaroni and cheese from Beecher’s Handmade Cheese, sampled Cabernet chocolate cherries from Chukar and ginger pepper pickles from Britt’s. Then we settled in for happy hour upstairs at Radiator Whiskey, which serves barrel-aged, smoked maple Old-Fashioneds. For dinner, we called Uber and headed to Canlis, one of Seattle’s old-school dining institutions, open since 1950. Located in a Northwest-style, Midcentury Modern structure with cavernous rooms and stone walls, it looks like a lair for a James Bond villain. The bar was a draw, with a pianist who can play anything from Cole Porter to Coldplay. The food was nothing special (salad prepared table-side, oversalted steak and predictably delicious truffle fries). But the to-die-for views of Lake Union were worth the pricey tab. And the peanut-butter-and-jelly chocolates to take home were a nice touch. On the way back to the hotel, we hit Bathtub Gin & Co., one of Seattle’s secret bars. Open since 2009, it’s a speak-easy in the basement of what was once an old brick hotel, now the Humphrey Apartments, that you enter through a back alley. (Hint: Look for the silver plaque near the entrance — and the line of people waiting to get in.) Surprisingly, the place was cool without trying too hard, with cozy tables and friendly service. My husband ordered the Dealer’s Choice. Not only did the bartender make him a bespoke cocktail based on his preference for a savory drink, but he also wrote down the ingredients on a piece of paper delivered to our table. The next morning, we decided to drive by the house where Cobain died. The lush, green Denny-Blaine neighborhood with views of Lake Washington is one of the most beautiful urban areas I’ve ever seen (if you can even call it urban). Cobain’s century-old, four-bedroom house looks small compared with most of the other mansions now occupied by tech chief executives and other masters of the universe. Two benches in nearby Viretta Park serve as de facto memorials, with graffiti messages carved into the wood and love notes tucked between the slats. With a light rain falling, the place seemed peaceful. The drizzle put us in the mood for something warm, so we headed to Ba Bar, a Vietnamese noodle shop and bakery. The oxtail pho, chicken wings and Vietnamese coffee fortified us for the afternoon. But before we turned our attention to sightseeing at Seattle Center, we wanted to check out one of the city’s newly legal recreational pot shops — merely for research purposes. Washington state legalized marijuana in 2012, and since July 2014, a handful of licensed shops have opened in Seattle, each with a different vibe. Uncle Ike’s, in the Central District, is the most slickly merchandised, with a security guard and velvet rope out front, and TV monitors inside displaying the day’s flavors. There’s even an Uncle Ike’s goods-and-glass store next door that sells knockoff Starbucks-themed vapes and pot leaf socks. Altogether, it was quite an operation, with a clientele that was upscale, and with a variety of ages. It was a strange leap from Uncle Ike’s to the new visitor center at the Bill & Melinda Gates Foundation, but we did it, moving from self-indulgence to boundless generosity. Launched in 2000 by Microsoft co-founder Bill Gates and hiw wife, Melinda, and reporting an endowment of more than $42 billion, the organization aims to reduce poverty and improve health care, education and access to information technology globally. The five-gallery visitor center explains the foundation’s work through a series of interactive exhibitions that delve into its history and explore the partnerships and innovations that its funds support. There are heavy buckets to lift, so visitors can get a sense of how hard it is for people in developing countries to walk miles every day for clean water, and new inventions to explore, such as coolers that keep vaccines cold for 30 days. And don’t miss the bathrooms, which may be the best part. The door to each stall is disguised to look like a latrine in Africa, India or elsewhere, to highlight the need for sanitary facilities around the world. Afterward, we walked to the nearby Chihuly Garden and Glass, which showcases to spectacular effect the colorful glass sculptures of Northwest artist Dale Chihuly. I’m so glad we saw it after dark; walking through the electric-looking installations, inspired by Native American blankets, hothouse flowers and the ocean, was like falling down the rabbit hole. The views of the Space Needle through the suspended sculpture in the greenhouse-style Glass House space were unforgettable. It was still drizzling when we arrived for dinner at Westward, chef Zoi Antonitsas’ Mediterranean seafood restaurant. It is on the north shore of Lake Union, with a dock and outdoor seating for better weather, and campy seafaring-themed décor inside. We were ushered past a wall of portraits of popular seamen to our seats at the bar, which has a 25-foot boat hull for a backdrop. The oysters, all from Washington, were delicious, as were the wood-fired trout and Greek white wine. We skipped the olive oil cake in favor of liquid dessert at Canon on Capitol Hill. The sixth best bar in the world must be one of the most exacting too. But it was worth the 45-minute wait in the rain (I’ve never seen more lines than I did in Seattle) for the Milk N’ Cookies cocktail in a ceramic milk carton filled with Cognac Landy, Ardbeg, chocolate, milk, Angostura bitters and Fernet-Branca. It was served in a Betty Boop lunch box, with a straw, a cookie and a comic book. Not ready to call it a night, we strolled up East Pike Street, which was quite a scene with revelers hopping from one hotspot to another. The next day, I wanted to check out the Ballard and Fremont neighborhoods before we left. Ballard, once the center of Seattle’s Norwegian seafaring community, is now hipster central. Strolling along Ballard Avenue, we stopped into the Anchored Ship Coffee Bar for locally brewed Herkimer coffee and salted Rice Krispies treats. Women’s boutique Horseshoe has clothing and accessories with a nod to Americana style (dresses by Prairie Underground, earmuffs by Pendleton, boots by Frye). Lucca Great Finds has just that (ceramics by Astier de Villatte; embroidered pillows and accessories by Brooklyn’s Coral & Tusk; teas from Mariage Freres, as well as custom cards). And Prism has modern arty jewelry, clothing and objets (marble necklaces by Rill Rill, Wonders of Washington patches, Herbivore Botanicals beard tonic and the like). A wedge-shaped building on Leary Way in Ballard once was home to music producer Jack Endino’s Reciprocal Recording studio, where he recorded Nirvana’s first demos and “Bleach,” the band’s debut album on Sub Pop. Fremont used to be the center of Seattle’s counterculture but now is filled with vintage stores and high-end boutiques such as Les Amis and Essenza. Both are owned by Becky Buford and have a French country vibe, with Isabel Marant, Rachel Comey and Giada Forte clothing, delicate earrings by RockStella and Tai, fragrances by Parfums DelRae and others. I wished I’d had more time to explore Ballard, Fremont and the rest of Seattle. I had a flight to catch, but not before visiting the Sub Pop store at Sea-Tac Airport. 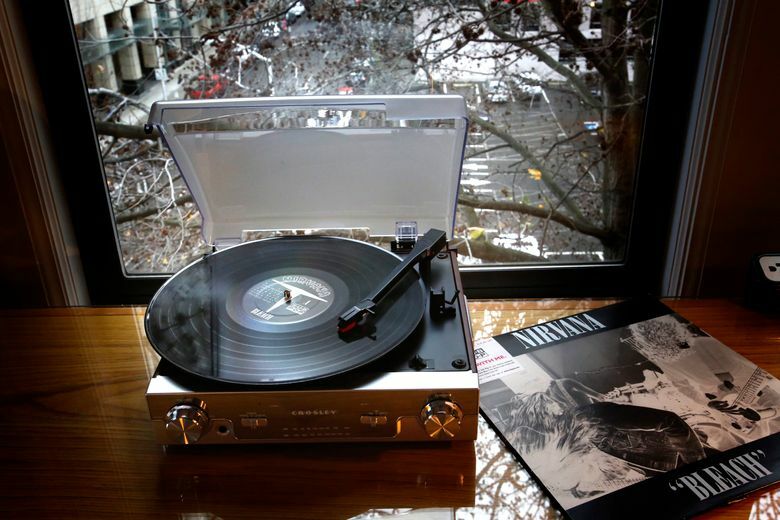 Opened in May, it’s one part record store, one part upscale Northwest gift shop. Not only are there albums for sale by Sub Pop’s indie bands of old (Nirvana, Soundgarden) and new (Sleater-Kinney, the Shins), there are also cool Sub Pop logo T-shirts, knit caps, Lighthouse Roasters Sub Pop coffee beans and more. 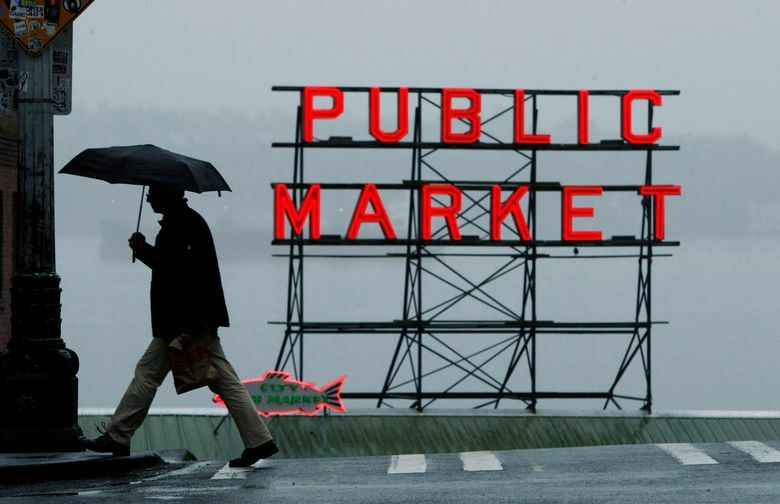 I left with a sweatshirt — and memories of a Seattle that’s about grunge and so much more. Hotel Max, 620 Stewart St.; hotelmaxseattle.com. -Sub Pop at Sea-Tac, Central Terminal, 17801 International Blvd.